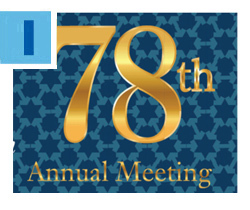 Don’t miss the chance to be part of a truly meaningful evening – the Greater Miami Jewish Federation’s 78th Annual Meeting, Wednesday, June 1 at Jungle Island. Join our community in thanking outgoing Board Chair Robert G. Berrin, welcoming Board Chair-Elect Amy N. Dean, honoring five outstanding leaders and celebrating this year’s many achievements. Steven J. Brodie and Isaac K. Fisher are Annual Meeting Co-Chairs. For details and to RSVP, click here. 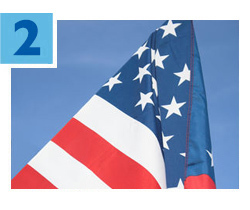 As we prepare to observe Memorial Day on Monday, May 30, it is important to remember the true meaning of the holiday, says Jerry Silverman, President and CEO of The Jewish Federations of North America, the umbrella organization for 151 Federations and 300 affiliated communities. “We as a Jewish community are blessed to be living in a time when we can worship freely and live in a democratic country that ensures this right,” Silverman posted this week. “This year, let's light a yahrzeit candle in memory of those who laid down their lives to ensure that we have the freedoms that we may take for granted.” Click here to read the full article. Miami’s partnership city of Yerucham has been a popular destination for Miami-based groups traveling to Israel. In recent weeks, residents of the Negev desert community have been visited by participants from the Leo Martin March of the Living and the FIU Birthright Israel trip, and members of the senior class of Shaarei Bina-Torah Academy for Girls. 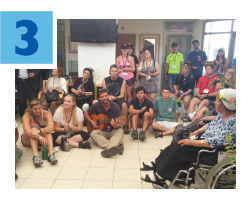 The FIU Birthright Israel group visited Yerucham’s senior center (pictured at left). Click here to learn more about the Miami-Yerucham partnership, chaired locally by Stanley Weinstein. If you work with seniors, you’ll want to participate in the 21st Annual Ministering to the Elderly Conference, Monday, June 6. 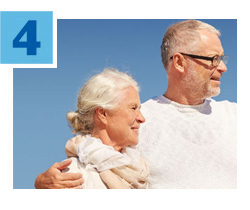 Featuring the topic “Aging: Envisioning a New Future,” the conference will offer resources to help caring professionals, community and spiritual leaders, and caregivers grasp how aging may yield deepened understandings of the self, as well as new interests and a realignment of values and priorities. 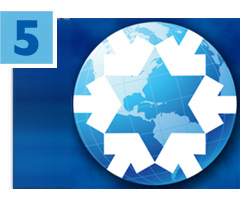 The event is presented by Federation’s Mishkan Miami: The Jewish Connection for Spiritual Support, Miami Jewish Health Systems and Jewish Community Services of South Florida. For details and to RSVP, click here.